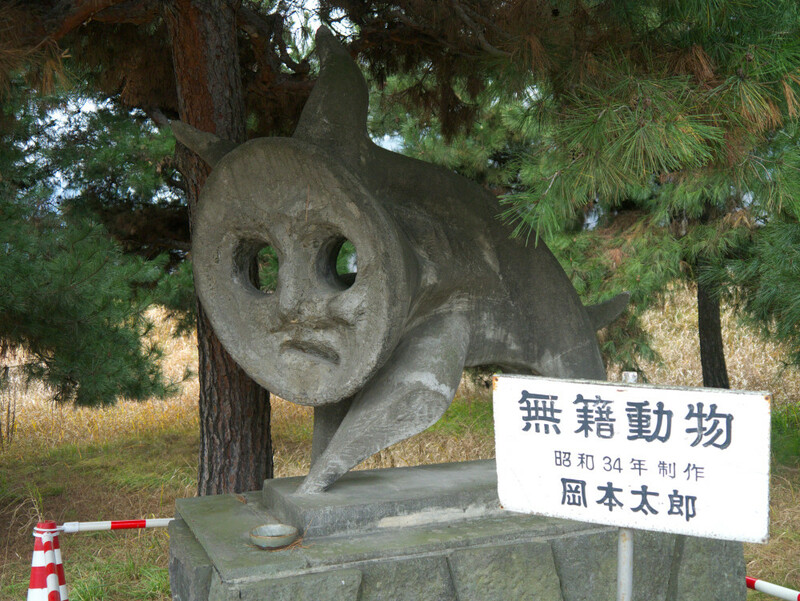 Stop #16 is a sculpture at the base of the Chikuma River levee. Made by one of Japan’s most famous post-war artists, Okamoto Taro, the surreal dog-like sculpture is titled “Museki Doubutsu”, which literally means ‘Undocumented Animal’. Take a moment to ponder the piece’s mystical meaning, and to wonder how this important work ended up here! On the way to Museki Doubutsu was the largest of Togura-Kamiyamada Onsen’s 7 day-use bath houses, the new Hakuchoen. Operated by the municipal government, the current facility opened in the fall of 2015. The original bath house had been a local institution and was so famous that Japan’s emperor once visited.